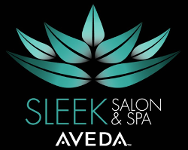 A customized massage experience to balance your personal needs, using one of our special Aveda aromas. Depending on your needs, a variety of massage techniques are utilized. A massage experience based on Aveda's elemental nature philosophy & your favorite Aveda aroma. Concentrates on the deep layers of muscle and fascia in the body. Proven to relieve feelings of stress and normal discomforts experienced during pregnancy, such as backaches, stiff neck, leg cramps, headaches and edema (or swelling). This massage is designed to calm and rejuvenate you. Using the Aveda Active oil, a wintergreen-derived topical analgesic, your muscles are brought back into balance with a blend of massage techniques designed to return you to peak performance.